The offer of measuring instruments available at TME has been extended with 4 new precise, easy-to-use calibrators AXIOMET. Industrial calibrators allow for simultaneous input and measurement of current, voltage, signal of RTD elements and thermocouples (depending on model). Using an AX-C709 meter we can additionally simulate thermocouples, RTD sensors, and resistance to 400 Ω. The AX-C705 is a DC switch with a 24 V loop power supply, which has a built-in multimeter measuring AC/DC voltage, DC and resistance. 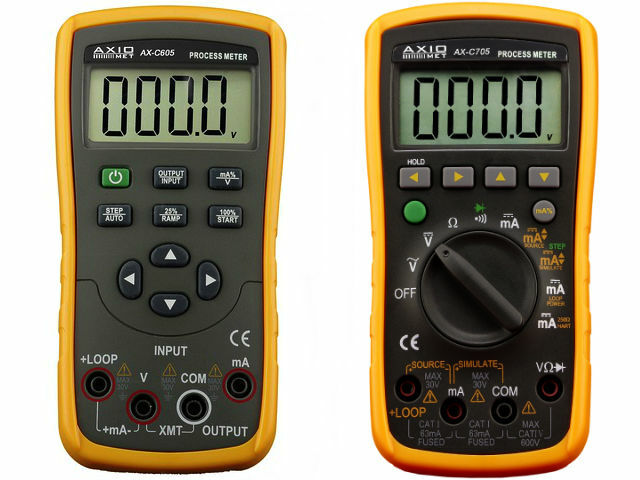 AX-C605 is a calibrator for measuring and switching voltage and DC, as well as 24 V loop power supply.